You might not know it, but you owe your life to bacteria. That’s because they are the only creatures on the planet that create vitamin B-12, a vitamin you cannot live without. If you become deficient in B-12, your mental health suffers, your metabolism slows, you feel fatigued, and you can develop heart disease, osteoporosis, and anemia. Suffice to say, it’s important you get enough and of the right type. Curious about the best sources of vitamin B-12? Here’s a list of the top 5 sources of B-12. Vitamin B-12 occurs naturally in meat, dairy, fish, and poultry. According to the USDA, the richest forms of natural B-12 come from clams, beef liver, trout, salmon, tuna, milk, yogurt, and cheese. And since your body can only absorb as much B-12 as your body produces intrinsic factor (a protein that makes B-12 digestion possible), you need to get plenty of these foods if you’re not vegan. There are no plant sources of vitamin B-12. So for vegans and vegetarians, deficiency can be an obstacle. But they are not the only ones suffering from B-12 deficiency. It’s estimated 40% of the American people are B-12 deficient. So for many, it’s time to turn to other sources. B12 injections have been used in place of dietary B12 to treat extreme B12 deficiency and to deliver B12 in cases where the body no longer makes intrinsic factor, such as with the condition known as pernicious anemia. These shots deliver B12 in the form of cyanocobalamin or hydroxocobalamin. These are medicinal forms of B12. While B12 shots do provide an effective dose of the vitamin, they come with two drawbacks. Another medicinal form of B-12 comes in the form of an intranasal gel. You rub this gel on the inside of your nose, absorbing through the membranes in your nose directly into your blood. One study found 90% of veterans treated for B-12 deficiency preferred the gel to the shot. You can find a wide variety of vitamin B-12 supplements on the market. One of the most common forms is a vitamin B complex. This supplement form usually comes in tablets and includes all eight of the B vitamins. The downside for B-12 in this form is again the use of cyanocobalamin. The cyanide molecule may make it more stable for tablet delivery but does introduce an added toxin the liver must deal with. 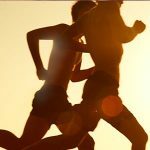 The best B-12 supplements will offer a blend of the bioactive, coenzyme forms of vitamin B-12 — methylcobalamin and adenosylcobalamin. Right now, sublingual B-12 has become very popular. With this supplement, you put the tablet, lozenge, or liquid under your tongue and let it dissolve, or for a liquid, hold it in your mouth to allow for absorption. In a matter of seconds, B-12 absorbs through the membranes in your mouth and enters directly into your bloodstream. 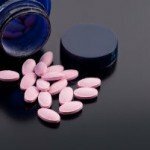 The type of B12 generally used for sublingual B-12 are the two forms your body uses — methylcobalamin and adenosylcobalamin. This means once it’s absorbed, your body can put it to immediate work. Plus, methylcobalamin is a methyl donor, so your body gets an additional methyl group in addition to the B12 you need. When it comes to B-12, you don’t really have a lot of options. Get it through your diet, or go for a supplemental form. 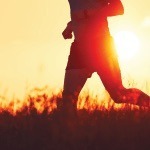 A liquid B-12 supplement has several advantages. It doesn’t hurt like a shot does, it delivers the B-12 forms your body can immediately use, it’s as effective as a tablet or pill, and it's easier to digest. This means if you’re older and don’t produce as much intrinsic factor, or have reduced intrinsic factor due to illness, you’ll probably get more B-12 than you would if you took a pill or tablet. If a liquid B-12 supplement is what you’re after, then check out VeganSafe™ B-12. GMO and gluten-free and 100% vegan and kosher, Vegansafe B-12 is appropriate for just about everyone. It contains methylcobalamin and adenosylcobalamin for maximum bioavailability and a pleasant taste for maximum enjoyability. 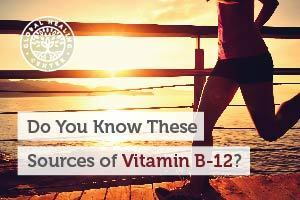 Do you take vitamin B-12? Let us know what kind and how it works for you in the comments. National Institutes of Health. 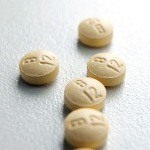 Vitamin B12: Health Risks from Excessive Vitamin B12. NIH. Judy McBride. B12 Deficiency May Be More Widespread Than Thought. United States Department of Agriculture. Suzuki DM1, Alagiakrishnan K, Masaki KH, Okada A, Carethers M. Patient acceptance of intranasal cobalamin gel for vitamin B12 replacement therapy. Hawaii Med J. 2006 Nov;65(11):311-4.